COUNTRY women of Queensland have raised $9million in drought assistance over the past nine months, and much of it has been distributed by QCWA branches in the Warrego Division. 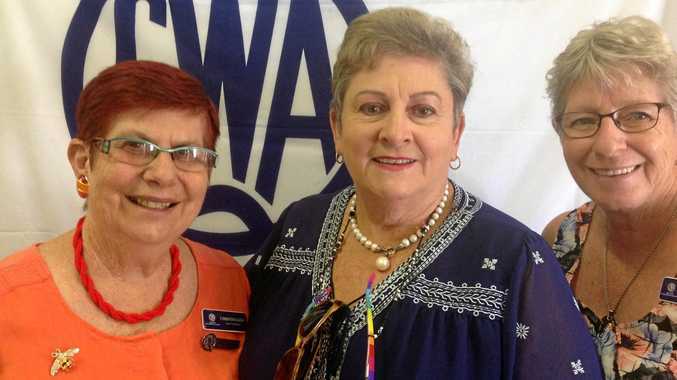 Fittingly, the announcement of the mammoth figure was made at a meeting of the Charleville branch, when it welcomed state president Christine King and vice-president Margaret Grayson. The presidential visit coincided with a weekend-long workshop for Warrego branches, focused on learning about organisations changes within the CWA. President of QCWA Charleville Branch Susann Ranson said the women who attended also took the chance to discuss local issues with Mrs King and Mrs Grayson. King for the first time was an absolute delight,” she said. "We were very impressed by her, she is so energetic and it has been a long time since a state president has come to Charleville.